Before you get started…this is Catherine….ummmm…the striped border? Are you kidding me? Before you read Allison's tutorial, can you guess how she made it? It's genius. Ok…here's Allison! Hi there, it's Allison here with a fun floral card for you today featuring some of the Wild & Wonderful release products. I've included step-by-step instruction so you can easily replicate this card design. 1. Trim cardstock to 8 ½” x 5 ½”. Score at 4 ¼” for a side folding card. 2. Trim 3/8″ off the right hand side of the card. Die cut a 1 ½” circle from the bottom third of the card front. 3. Stamp the blooms & leaves around the edge of the circle. 4. Die cut masks for all the stamped images. Place them over each coordinating stamp. 5. Using a sponge tool, blend some Limoncello ink over top of all the masks. 6. Remove the masks and color in the images using Copic Markers. 7. Mask off the 3/8″ of the inside of the card along the right edge. Using the “T” from the “THX”, stamp lines using Be Mine ink. 8. Die cut a white cardstock 1 ½” circle. Stamp the greeting in Midnight ink. 9. Stamp a few mini dots in Midnight ink among the flowers. I hope I've inspired you today. 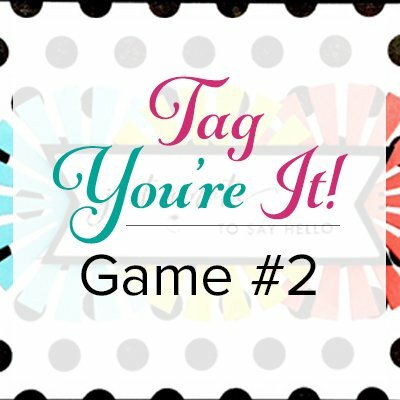 Over at StampNation, we're playing a game called “Tag You're It!”, started by our sweet friend, Allison! 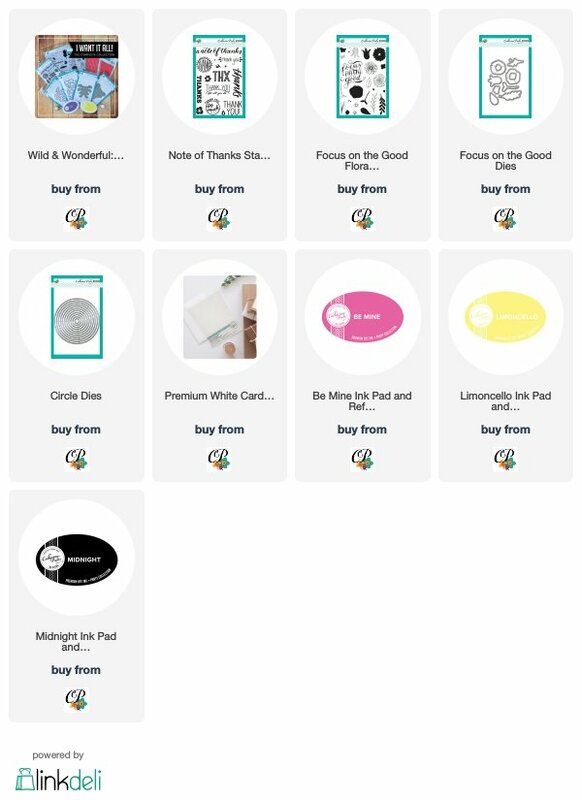 It's kinda like the telephone game….except with stamping and card making! We begin with a muse, someone Tags themselves, CASEs the card, posts it, then the next person Tags themselves and so on. It's so much fun to see how the cards evolve and change and what inspires people. Today, I tagged myself, so tomorrow I'll be stamping a card inspired by Tammy's card. I'll add the photo and video as soon as I can. I have some ideas spinning around in my head, so I'm excited!